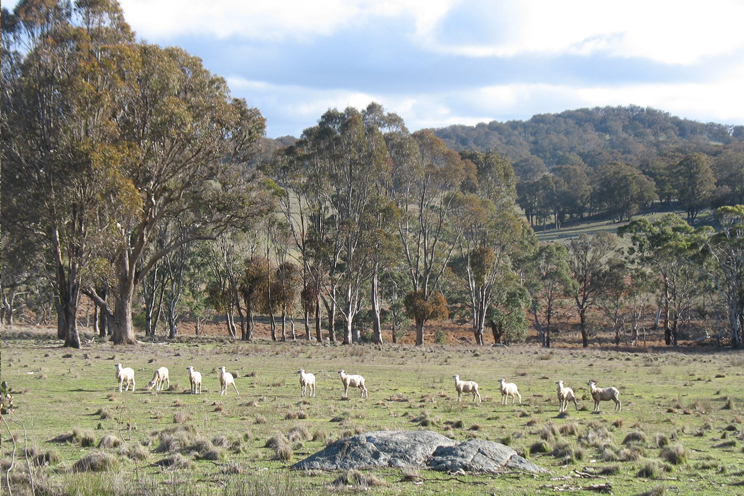 Newholme is 1945 hectare forested rural property, with long term ecosystem research sites, Merino grazing and native wildlife. Across Newholme are long term soil, vegetation and wildlife monitoring sites that provide a picture of the change to the natural ecosystem with different farm management practices including grazing, deforestation and reforestation. These sites provide valuable information on the changes in flora and fauna species and nutrient cycling. Across Mt Duval are 25 camera traps monitoring the fauna both native and invasive, and remotely feeding back to a computer in the Newholme Field Laboratory. These cameras record activity from native animals including four main species of macropods and koalas along with other animals such as foxes and deer. Newholme is unique among UNE’s rural property estate in having large tracts of natural forest cover (with several forest types) giving it an overall high conservation value. Part of what makes Newholme highly valuable to research is the partitioning of the property into grazed and ungrazed components, in both woodland and pasture. Approximately one third is forested, a third is open woodland, while the remainder is native pasture. Subsets of the forest and woodland types and riparian zones have been de-stocked (since 1982) to provide contrasting land management treatments. Most of the property is managed in an agriculturally un-manipulated manner other than grazing, to maintain research and teaching options (e.g. imposition of particular land and water treatments) as well as land and water uses representative of the surrounding region.